Our video calling API is a self-serve product with monthly subscription billing. We've used Stripe for credit card processing since we started our company, in 2016. But when we were planning the launch of a new API product, we realized that the requirements were different enough from what we'd done before that we'd need to write new billing and payments code. This promised to be a fun exercise! Stripe's own API design, documentation, and systems infrastructure are the gold standard that all of us who make API-based products aspire to. So writing Stripe-related code is always a pleasure and a learning experience. In addition, we knew that Stripe had added quite a lot of functionality to [Stripe Billing](https://stripe.com/us/billing?&utm_campaign=paid_billing&utm_network=g&utm_medium=cpc&utm_source=google&ad_content=269766573782&utm_term=stripe%20billing&utm_matchtype=e&utm_adposition1t1&utm_device=c&gclid=Cj0KCQiAk-7jBRD9ARIsAEy8mh4KSm68RSau6kQlxUYg03p_F2u5ZEdsmeGo1IAM1p9hvogh-FkvoR0aAhlHEALw_wcB) (Stripe's suite of subscriptions and recurring revenue features) since we'd last had a chance to update our payments code. If we start a project with a jobs-to-be-done outline, we start *development* with a data model. Or, put a different way, until we have a data model we're confident in, we're just prototyping, not implementing! For this project, the data model needs to translate between our representation of customers, subscriptions, and settings and those same concepts in Stripe's APIs. So we needed to dig in to understand how Stripe's [recurring billing features](https://stripe.com/docs/billing/subscriptions/modeling) are designed. - A [customer record](https://stripe.com/docs/api/customers) is an account with a unique id, an email address, and (usually) a stored payment method. - A [product](https://stripe.com/docs/api/service_products) is something that you charge a customer for. It's useful to think of a product as mapping directly to a line item on an invoice. - A [plan](https://stripe.com/docs/api/plans) is what you charge for a specific product (how much, and how the amount is calculated). You can create several different plans for each product. For example, you might have different plans for customers who are paying in different currencies. - A [subscription](https://stripe.com/docs/api/subscriptions) is an association between a customer record, and one or more plans. A subscription generates recurring invoices. - An [invoice](https://stripe.com/docs/api/invoices) generated by a subscription (usually) attempts to charge a customer's credit card, and Stripe [events/webhooks](https://stripe.com/docs/billing/webhooks) are created to help you track and respond to pre- and post-payment events. In our world, we have users, teams, and plans. - A user is someone with an email address who has created a [Daily.co account](http://daily.co). - A team is a Daily.co subdomain (for example, `your-team.daily.co`). All video call rooms are created under a team subdomain, and multiple users can share access to a team. A good first question to ask about a data model is, "where does the data live?" In general, we think it's a good idea to make Stripe the "one true source" for as much of your customer and billing data as possible. Stripe's systems are proven, secure, and well designed. 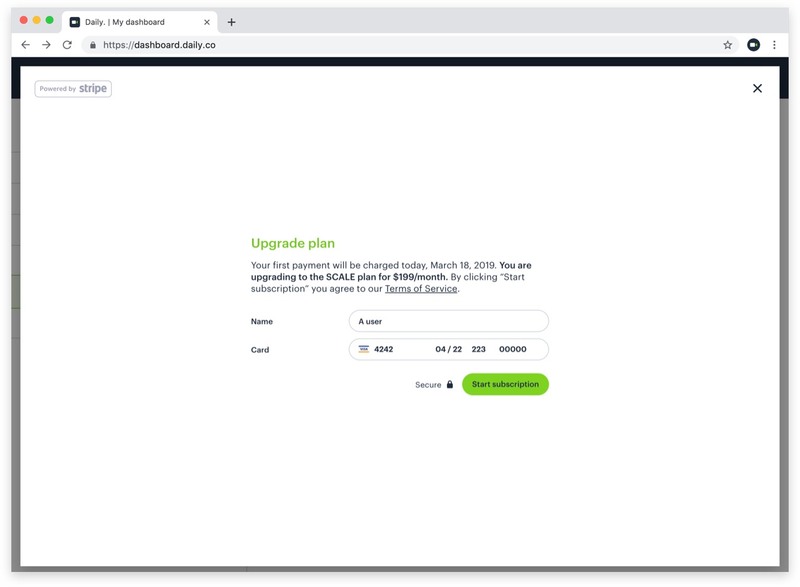 Stripe's interactive dashboards are very helpful for viewing your payments data, and let you do things like modify customer subscriptions and issue refunds (so you don't have to write code for every corner case you'll need to handle). 2. 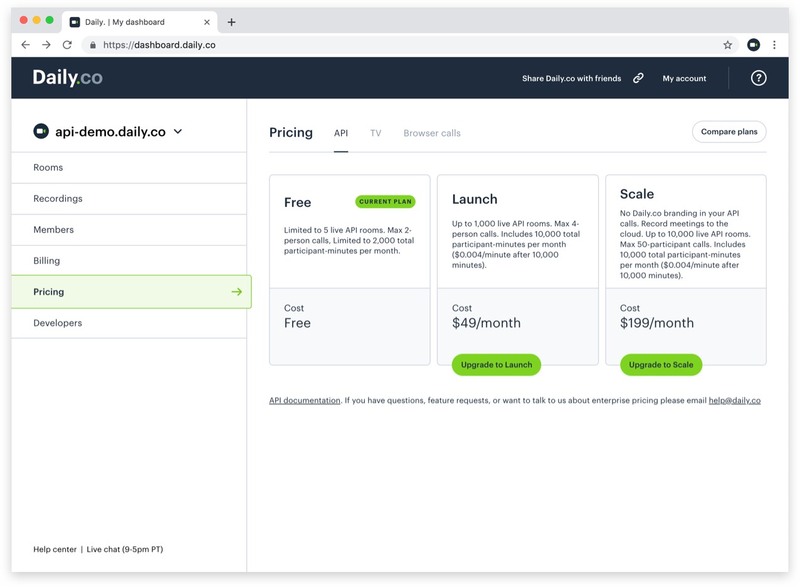 Look up the Stripe plan id in your code, and [create a Stripe subscription](https://stripe.com/docs/api/subscriptions/create) that sets this customer up on the plan. If you need to store extra information about the subscription, you can embed arbitrary `metadata` in the Stripe subscription object. 1. 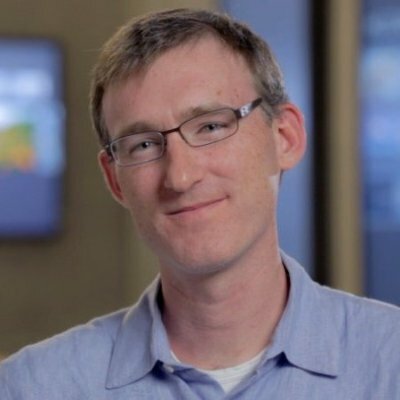 Using the stored Stripe customer ID, [list the subscriptions](https://stripe.com/docs/api/subscriptions/list) for the customer. The subscription will include information about billing, such as payment status. You can also use any metadata you embedded in the subscription object. 1. Using the stored Stripe customer ID, [list the subscriptions](https://stripe.com/docs/api/subscriptions/list) for the customer. 2. Find the subscription you need to cancel (if there's more than one, you can filter by which plans the subscription includes, or by any metadata you've embedded in the subscription object). [Cancel the subscription](https://stripe.com/docs/api/subscriptions/cancel), optionally specifying a cancellation date and whether or not to prorate unused time. We prototyped our recurring billing system, initially, so that it looked exactly like the one described above. Then we added a bit more information and logic in our database and code, based on a couple of additional requirements we have. We track several kinds of usage on a per-minute basis. Our free API tier is limited to 2,000 video call minutes per month. 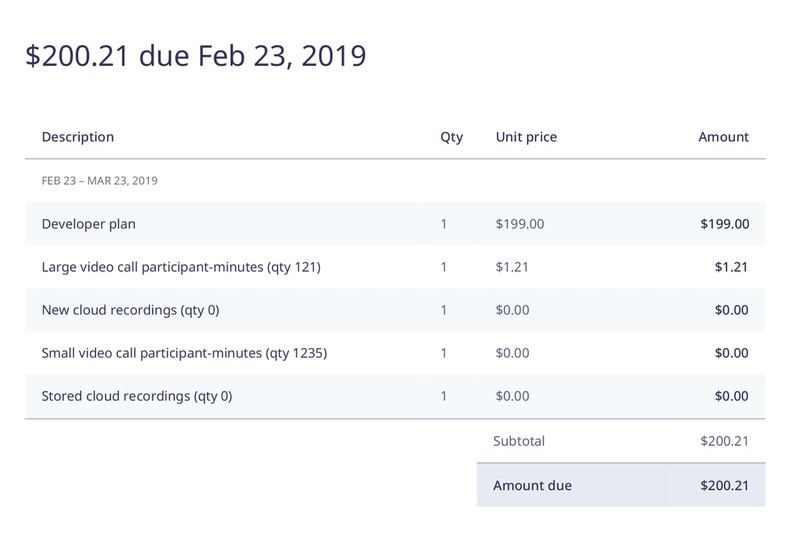 Our paid tiers have a monthly subscription cost that includes a certain number of video call minutes, plus per-minute charges for additional basic call usage, for large calls, and for recordings. This means we need real-time access to usage data in order to gate functionality based on accrued usage. We also need to store configuration information about each video call room. A team can have thousands of rooms. When we check whether someone can join a room, and what features to enable in our in-call UI, we have to look at combined room configuration and team configuration fields. Because we already have this code written, and we need access to "plan" information every time we check room access, we added two subscription-related properties to the team configuration info we store in our database: `api_plan_id` and `api_plan_expires`. Every Stripe subscription that we create includes two metadata fields, `api_plan_id` and `team_name`. We use `api_plan_id` to filter the subscriptions list for customers that have multiple subscriptions with us. (We have other products in addition to our API.) We use the `team_name` field as a convenient way to know what customer we're looking at, when we're using the Stripe dashboard. Stripe has a suite of [metered billing](https://stripe.com/docs/billing/subscriptions/metered-billing) features that are quite powerful. You can send [usage data](https://stripe.com/docs/api/usage_records) to Stripe, and Stripe can automatically calculate usage-based costs on each invoice. Advanced calculations like tiered pricing are supported, too! We initially planned to use these metered billing features to handle invoicing for our per-minute usage charges. We ran into three issues, though. 1. A Stripe unit cost must be an even number of cents. Our per-minute prices aren't even number of cents. So to use Stripe's metered billing features we would have to charge for blocks of minutes (10 minutes, or 100 minutes, or an hour). 2. Usage data needs to be sent to Stripe continuously. There's no way to submit usage data to Stripe after the end of a billing period. Much of our usage data is highly granular (video call minutes). One obvious approach would be to submit a usage record to Stripe when a client exits a call. This would create a very large number of usage records, though, and would inevitably miss some usage. (Sometimes people exit calls by, for example, closing the lid on the laptop they are using!) At the same time, though, some of our video calls are very, very long-running. Lots of people use our systems for always-on video portals. An always-on user can stay connected to a video call for weeks! Another approach would be to run a cron job to regularly total up usage and submit usage records. This would require that we either drop, or roll over, usage between the time of the last cron job and the time of the monthly invoice. We'd also need to handle some slightly tricky corner cases (cache status info from previous cron jobs, re-run cron jobs that fail, etc). 3. Using metered billing plans makes changing customer subscriptions more complicated. Stripe requires that you delete usage records before removing metered plan items from a subscription. There's no automatic way to roll those usage charges over to the following invoice (which would be analogous to the proration option that's available for non-metered plans). We could certainly have worked around all of these. And we did start down that road. But in the end we decided that calculating usage-based costs ourselves would, for our use case, result in cleaner and easier to maintain code. Stripe sends an [invoice.created](https://stripe.com/docs/billing/lifecycle#invoice-lifecycle) webhook event for each subscription upon the close of each billing period. Our handler for that webhook runs a usage query on our database, then adds line items to the invoice for each usage-based charge. The only small thing we're not able to do is show each line's usage number in the **Qty** column, the way that a natively generated Stripe metered billing item would. Instead, we include the units used in the item description. Each of our API plans is defined by an entry in a `plans` object, in a top-level utility file called `PlansAndConfigs.js`. 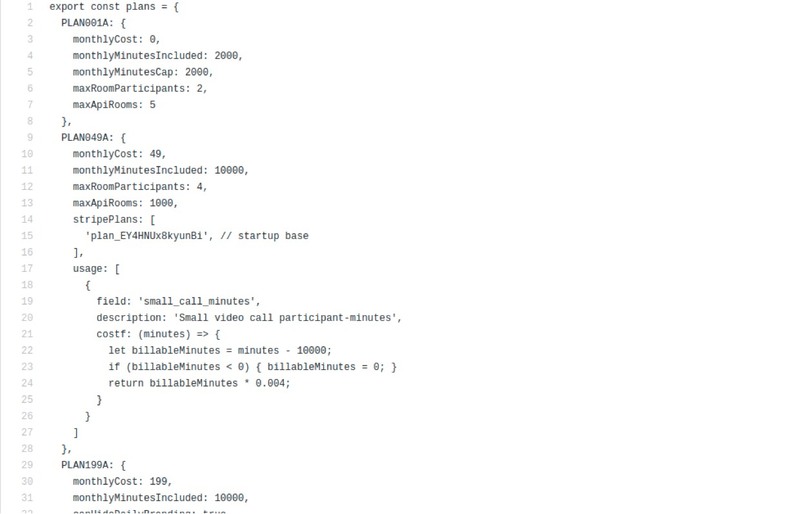 Both our front-end and back-end code include parts of this file. You can view the entire [plans object literal](https://gist.github.com/kwindla/c93ccda41d5143daa9dda3027a63ae3a), if you'd like to see the full structure. The parts that relate to Stripe are `stripePlans`, and `usage`. The `stripePlans` property is a list of Stripe plan ids that make up a subscription to our API plan. We define these plans in the Stripe dashboard, and we force the Stripe plan id to be the same in both our test and production Stripe data. The `usage` property is a list of objects that are used to add metered usage line items to each monthly invoice. - The `costf` property is a function that takes a number of minutes of usage as an argument, and returns a cost, in dollars. We use the [react-stripe-elements](https://stripe.com/docs/recipes/elements-react) package to embed credit card data entry forms into our user interface. Here's what the (customized) form looks like in a modal that's part of the Daily.co dashboard. On the server, the code to create the new customer looks like this. Updating credit card info is very similar. On the server side, we look up an existing customer record and modify it, instead of creating a new one. Subscribing customers to plans is easy. Handling upgrades, downgrades, and cancellations requires making some policy decisions. It's surprisingly easy for corner cases to proliferate if you allow customers to transition between any plan, any time during a billing cycle. - Customers can't downgrade from our top paid tier to our lower paid tier. If someone really wants to downgrade, she can cancel and then subscribe again. - Upon cancellation, we cancel the plan immediately. (We don't cancel at the end of the billing cycle, which is a common way to structure Software as a Service plans.) We do this to avoid the possibility that a customer continues to rack up usage-based charges, and then is surprised when the final bill arrives. When a customer cancels, we refund a prorated amount of the base plan charge, and also charge for any accrued usage. // of our list of plan ids. Here's code that **cancels** a subscription. Here's code that **upgrades** a subscription, which is more complicated than subscribing to and cancelling subscriptions. We have to "diff" the subscription items list ourselves. This code is generalized and should work to switch between arbitrary plans. But note that this approach fails if the upgrade process tries to remove any metered billing plan items from the subscription. // unchanged - remove from planIds array. As described in **Billing for usage**, above, we don't use Stripe's metered pricing plan features. Instead, we manually add line items to our invoices for our usage-based costs. Here's how we handle the `invoice.created` webhook that Stripe sends just before finalizing an invoice. // the quantity in the item description. We also listen for Stripe's `invoice.payment_succeeded` webhook, and — as suggested in the [Stripe subscription webhooks tutorial](https://stripe.com/docs/billing/webhooks) — update our `api_plan_expires` team property when each monthly subscription payment succeeds. This code is very simple! We love to talk about writing production-quality code! If you have thoughts, please send us email: help@daily.co. Or find us on Twitter at [@trydaily](https://twitter.com/trydaily).